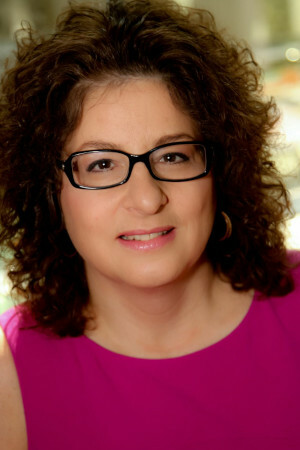 Business View Magazine interviews Robin Wiener, President of the Institute of Scrap Recycling Industries, as part of our focus on best recycling practices. Known as the “Voice of the Recycling Industry,” ISRI (Institute of Scrap Recycling Industries) is a private, non-profit trade association representing more than 1,300 private and public for-profit companies, operating at more than 6,000 facilities in the United States and 40 countries worldwide. Based in Washington, D.C., ISRI promotes public awareness of the value and importance of recycling to the production of the world’s goods and services, along with the positive environmental benefits derived from scrap recycling. As part of this effort, Institute of Scrap Recycling Industries advocates on behalf of the industry before the U.S. Congress, federal and state agencies, state governments, and international bodies to help ensure the free and fair trade of scrap commodities globally. 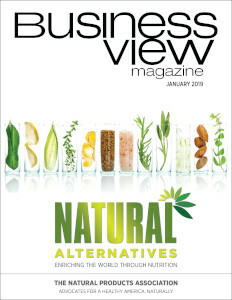 Recently, Business View Magazine spoke with ISRI President, Robin Wiener, about the association’s successes and challenges, membership benefits, and the future of the recycling industry. The following is an edited transcript of that conversation. BVM: Can you give us the background on Institute of Scrap Recycling Industries and how it has evolved? Wiener: “ISRI was formed in 1987. I’ve been involved since 1989, and I can tell you with confidence that the core mission of promoting safe, economically sustainable, and environmentally responsible recycling through networking, advocacy, and education, has not changed. Our programs develop over time and adjust to changes in the industry, so we aren’t reacting to yesterday’s industry but, hopefully, to today’s and tomorrow’s industry. BVM: Are there different tiers of membership? Wiener: “As the voice of the industry, Institute of Scrap Recycling Industries represents the processors, brokers, and industrial consumers of scrap metal, scrap paper, plastics, tires, electronic scrap, glass, and textiles – the full range of commodity-grade recyclable material. Our membership is corporate-based with just over 1,300 member companies. About 80 percent are in North America, and 20 percent around the world. In terms of organization, the companies that recycle scrap commodities in North America are considered our Active members, and their dues are on a sliding scale based on gross revenues. Members based outside of North America are Associate level and pay a flat fee. 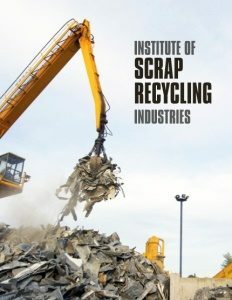 BVM: How would you explain the benefits of Institute of Scrap Recycling Industries membership to non-member companies? Wiener: “First, we have a strong networking program for member companies for business development. We provide different forums throughout the year, including our convention – the largest in the world for the recycling industry. We average 5,000 participants, and our trade show floor has over 500,000 sq. 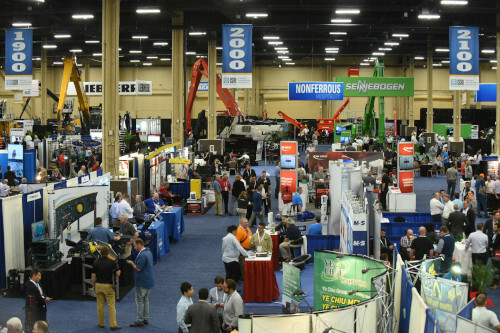 ft. of exhibit space with heavy equipment, as well as the latest industry technologies and innovations displayed. “We also have a significant education and training compliance program for members. Part of that is our safety program, that was transformed ten years ago from a typical reactive, or passive, program (giving out videos, posters, etc. ), to a proactive program. We actually have a staff of five in our safety department, who will spend up to three days at a member’s facility doing driver ride-alongs, safety blueprint services, and train-the-trainer programs for equipment. It provides significant benefits and is included free with membership. “As for our advocacy program – I think we’re the strongest voice on Capitol Hill, when it comes to recycling. We’ve done a lot to help our members promote their interests, both advancing legislation, as well as making sure that legislation which may not be helpful is modified or takes into consideration our industry. We’re also very much involved in international trade. In any given year, between 30 and 40 percent of what the industry processes for recycling is sold into the global marketplace to industrial consumers in more than 150 countries. 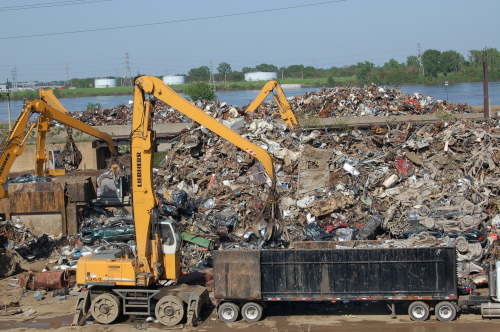 Last year, scrap exports from the U.S. were valued at approximately $18 billion. So, we’re naturally very active on behalf of the industry in our industry’s major export markets; talking to governments around the world about the importance of continued access; allowing for the continued free and fair trade and access to these markets so as to allow steel mills, foundries, paper mills, etc., access to the high quality scrap commodities produced within the United States. BVM: Are there any major changes in operations planned for the Institute of Scrap Recycling Industries? Wiener: “The industry is going through a huge transformation, as a result of changes in the market in the last year. China has been our largest market by far, purchasing up to 40 percent of scrap exports out of the US (and globally). Due to the U.S. and China trade war, and internal issues in China, that market is closing very quickly. One of our functions at ISRI is to help our members deal with changes that are occurring in the industry. So, we’re working aggressively to provide new programs and services, including trade missions, to help our members access other markets. And we’ve increased what we’re doing in the trade area, generally, to make sure we’re talking with the right government authorities, interfacing with the U.S. government, as well, and providing services through Designed for Recycling to increase the market, domestically. We’re not changing our operations, but we’re leveraging them to address changes in the industry. “Additionally, reporting doesn’t often focus on the real problem underlying what the general public experiences with their local recycling programs — contamination. Because recycling rules vary for each municipality, it’s not always clear to residents what can and cannot be recycled. If what goes into the bin is not recyclable, it can contaminate what is recyclable in the bin, thus requiring the material to be sent to landfill. A blunt example: if you throw a dirty diaper in a recycling bin that also contains newspapers, what do you think happens to the newspaper? Those newspaper become contaminated and are no longer recyclable – they are now waste that must be diverted to the landfill. The goal of the recycling process is to create quality, graded material that can be sold to paper mills, steel mills, plastics manufacturers, etc. for manufacture into new products. Successful recycling requires a quality recycling stream. BVM: What other issues are at the top of the agenda for the Institute of Scrap Recycling Industries? Wiener: “Understanding the difference between waste and scrap is a critical issue when talking to federal, state, and international governments. Because when scrap gets caught in a waste regime, it results in inappropriate regulation and legislation. Continued access to the global market is a key issue – making sure there aren’t tariff barriers put up that prevent flow of material into the global market. Another key issue is infrastructure reform. We need to get our materials to the consumer, whether they’re located in the next state or overseas. We need strong roads, railroads, and ports – and we want to supply the recyclable material that goes into the roads and rails, whether it’s scrap tire rubber or metals. Making sure there are global standards for the material and understanding what the material is, are also important items. Check out this handpicked feature on North American Die Casting Association (NADCA).